It’s Mothers Day today – so for you all mums, I hope you’ve had a relaxing day whilst everyone spoils you rotten. I’ve just spent 4 hours at my sons football game freezing my toes off! It rained, it was windy and it was majorly cold. I’m one of those mums that stands out in those shocking conditions with my umbrella cheering the team on – I can’t sit in the car with the windscreen wipers going constantly on and off! Anyway at the end of the game all the boys are passed cupcakes to hand to their mums for Mothers Day – so at least I came away with a yummy cupcake – oh, and they had a win! Colour challenges are great for me as they take me waaaay out of my comfort zone of using neutrals. Because I needed a little help with these challenging colours, I’ve combined challenges and am using the sketch from Mojo Monday this week. 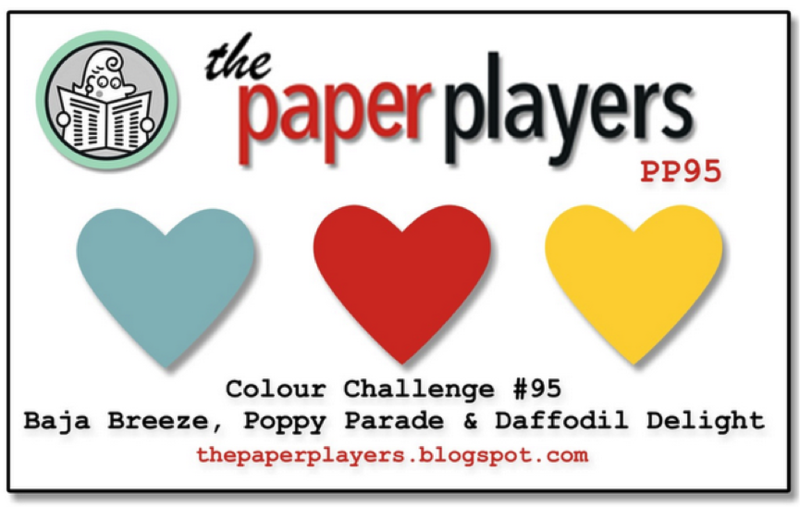 The girls have created some beautiful cards with these colours s0 head over to The Paper Players and check them out. Thanks for stopping by. I just love this! What a great sentiment to use with this sketch and these fun kites!!! Great use of the colors, too! Fabulous card, Narelle! You did a great job using the challenge colors! I love the strings on the balloons…too cute! 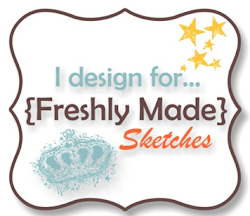 Great use of the sketch Narelle! Love those balloons every time you use them. The linen thread strings are perfect! Hope you had a Happy Mother’s Day too! 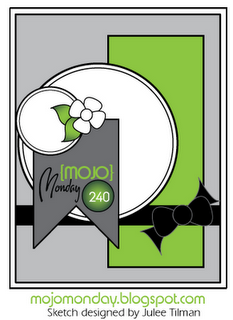 Love love love this layout and your card is fabulous! These are such great colors togethers, and they look wonderful with the balloons. I especially love your large cirlcle background… so nice. hugs. Narelle, this is fantastic! I just love the layout and all of the fun elements you added. Super cute! Of course, your perfect bows always make me smile. 🙂 Other then freezing your toes off, it sounds like you had a great Mother’s Day. Enjoy your week! Big hugs! Love this happy card Narelle, the balloons and the big bow are definite eye catchers!!! Love the bold, giant polka dotted background….who doesn’t love polka dots?! 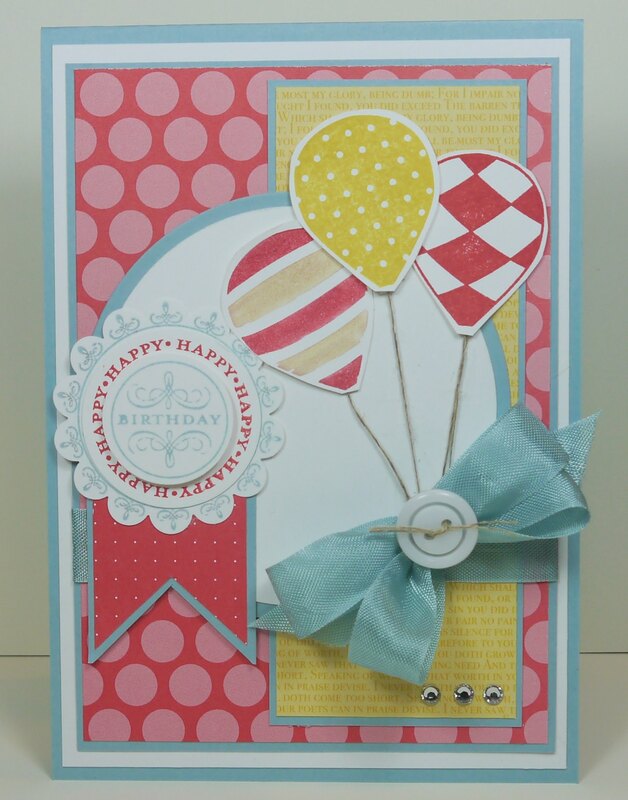 Such a happy blend of the trio of colors and the hot air balloons as balloons is a super fun twist on that stamp set. My favorite part of the card is the Baja bow paired with a button. Super cute card, Narelle! Hope you have a wonderful weekend!